Egg salad gets a makeover. We always have a ton of hard boiled eggs in our house. They are a snack or choice with the family. I’m always trying to come up with new things to do with all those eggs. But old habits die hard, and my thoughts kept wandering back to egg salad. I found myself wondering, isn’t there something I could do to make that old standby fun again? You know, put a little twist on it? So I started thinking about all the things that go into an egg salad. 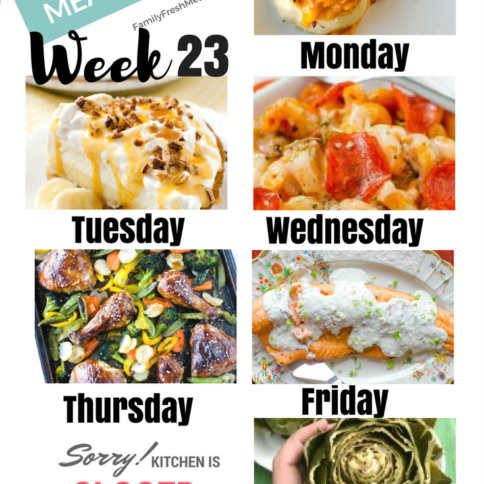 Eggs…mustard…mayonnaise… hey, wait, can’t you use mashed avocado in place of mayo in a dip? Oh, snap! I did a little tinkering, and I found that adding avocado to my egg salad – while leaving the rest of the ingredients pretty much unchanged – takes it to a completely new level. 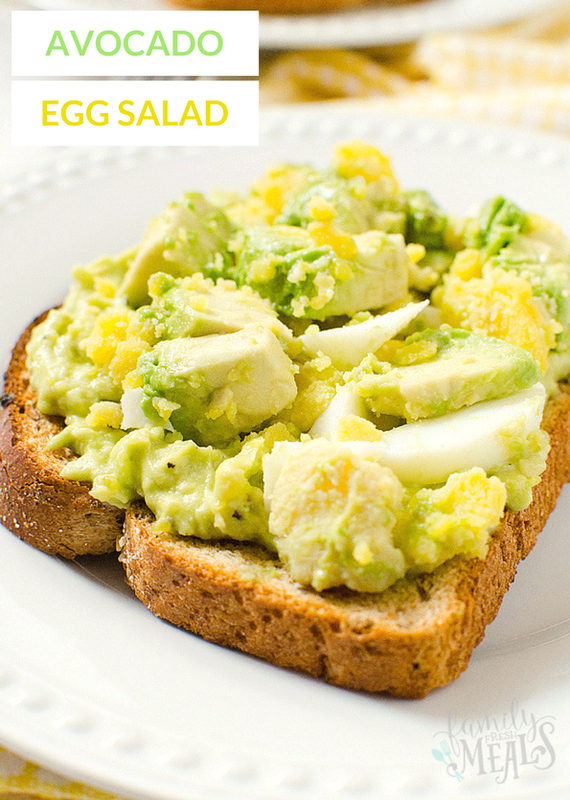 It turns from plain old egg salad into this exciting, modern taste sensation, like magic. The version I finally settled on substitutes half a mashed avocado for most of the mayo, while leaving in just a little for the tang. 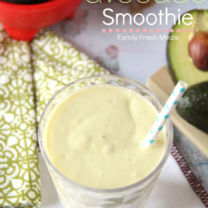 I leave the other half of the avocado unmashed and put slices on top to add another layer of texture. Try this, and you may never go back to plain old egg salad again. 1. Peel the eggs and separate the whites from the yolks. Cut the avocado in half, remove the seed, and mash one half of the avocado in a bowl. Set aside. 2. Add two of the yolks to the mashed avocado and mix. Add the mayo, mustard, garlic powder, onion powder, salt and pepper. Mix really well. Add as much pickle juice you prefer to make the mixture very creamy. 3. Toast 2 pieces of toast. Divide evenly and spread the mixture over the toast. 4. In another bowl, roughly chop the remaining yolk and white together. With the remaining half of the avocado, cut it into squares. 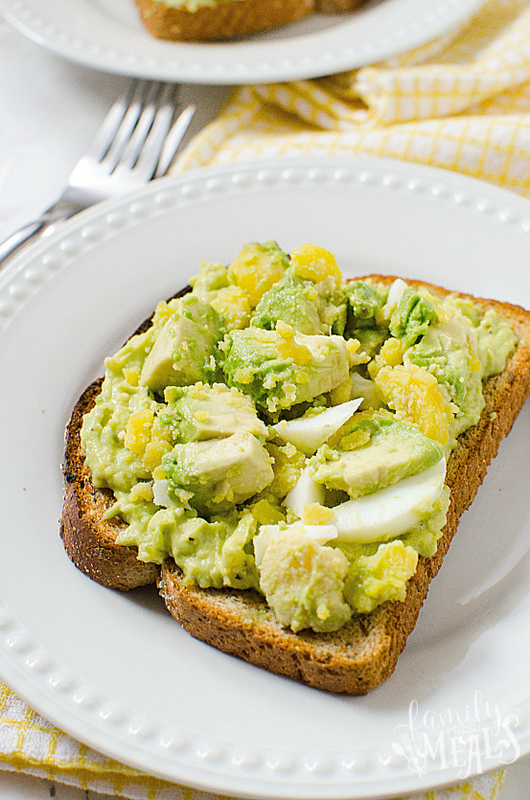 Sprinkle both the white & yolk along with the avocado squares over the top of the toast. 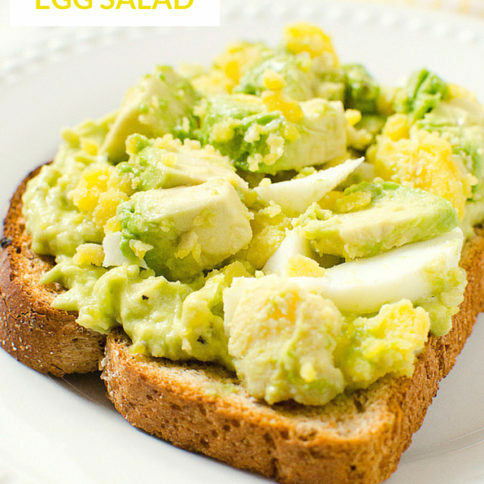 Once you try my delicious Avocado Egg Salad recipe you may never go back to plain old egg salad again. It is really that good! Peel the eggs and separate the whites from the yolks. Cut the avocado in half, remove the seed, and mash one half of the avocado in a bowl. Set aside. Add two of the yolks to the mashed avocado and mix. Add the mayo, mustard, garlic powder, onion powder, salt and pepper. Mix really well. Add as much pickle juice you prefer to make the mixture very creamy. Toast 2 pieces of toast. Divide evenly and spread the mixture over the toast. In another bowl, roughly chop the remaining yolk and white together. With the remaining half of the avocado, cut it into squares. 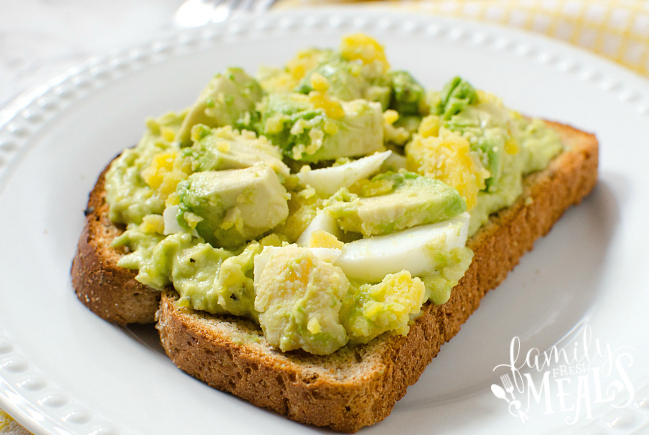 Sprinkle both the white & yolk along with the avocado squares over the top of the toast. 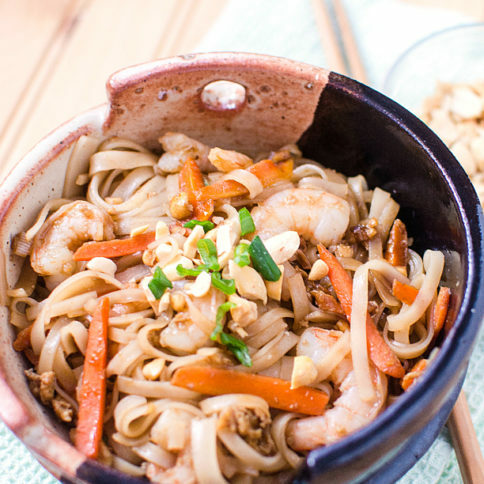 I’ve been making this basic recipe for years!! I do, however, add a few more flavor enhancers. Hi! I was wondering how you would store this or should you eat this after preparing? I’ve known avocado to be tricky to store in the fridge. 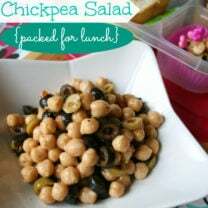 I usually eat it the same day, but have also stored it in an airtight container in the fridge. 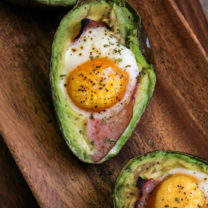 If you are worried about the avocado browning, you can add a little lime juice to the avocado before storing.